THE BIG IDEA: Most of the coverage about Neil Gorsuch now focuses on Senate rules and the procedures for changing them. 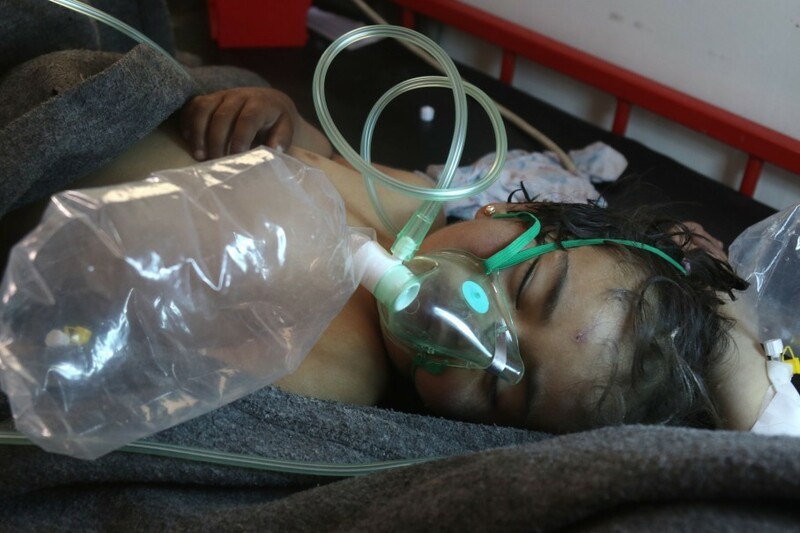 While important, the underlying reasons that both sides are so willing to allow a nuclear confrontation have been lost or obscured in most news stories. It is instructive to step back and consider why Republicans took the risk of denying Merrick Garland a hearing last year and why they’re now poised to blow up what was once the world’s greatest deliberative body. 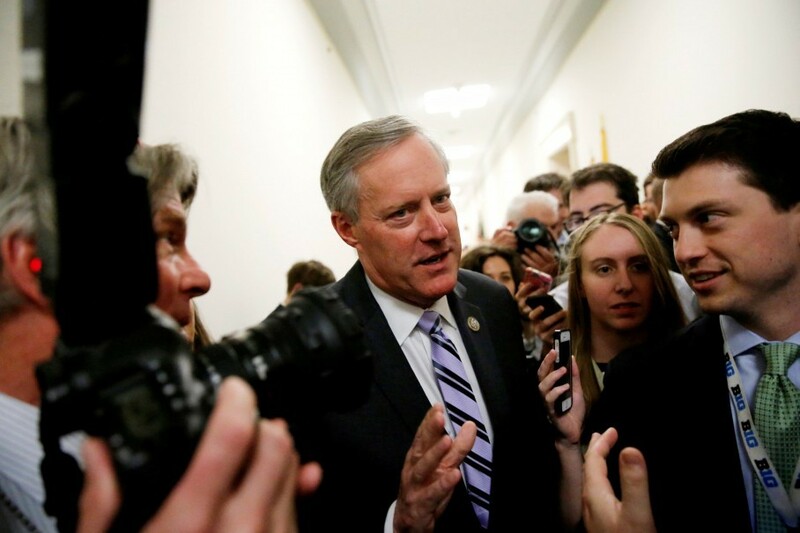 -- By the end of this week, when the judge has been confirmed and the Senate leaves town for Easter recess, Republicans will control all three branches of the federal government for the first time since 2006. 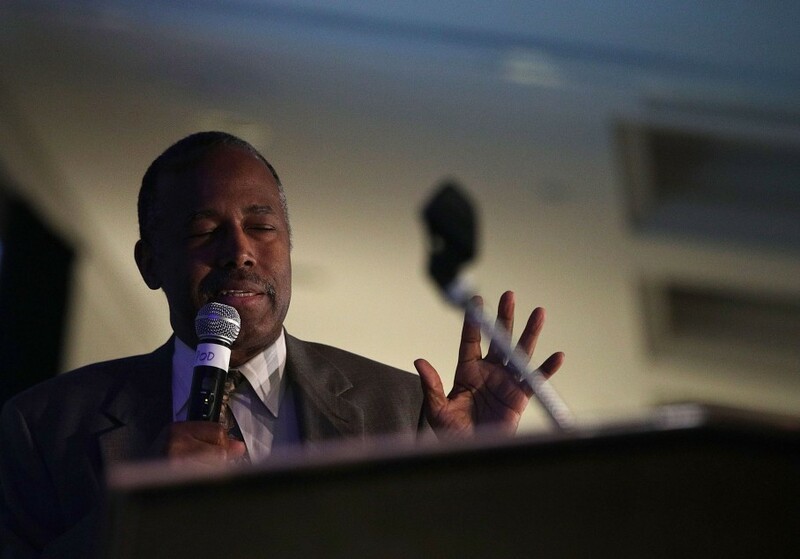 -- On paper, this is a golden age for the GOP. There are 33 Republican governors, the most since 1922. In 25 states now, Republicans have unified control of the governorship and legislature. Iowa, Kentucky, Missouri and New Hampshire joined that club last November when the GOP took control of five more House chambers and two more Senate chambers. Today there are 4,195 Republican state legislators, compared to 3,132 Democrats. -- Gorsuch, once confirmed, will be well positioned to provide the decisive vote on a host of issues that might help cement this Republican hold on power, or at least give the party a leg up in future elections. He could vote to allow states to restrict voting, give more leeway to partisans in the round of redistricting that will begin after the 2020 election and further loosen campaign finance limitations. Don’t forget Bush v. Gore, when the Supreme Court – on a party-line vote – delivered the presidency to George W. Bush. -- These are significant, and under-covered, reasons why only four of 48 Democrats have broken ranks on using the filibuster. Three face tough reelection fights next year in ruby red states that Donald Trump carried by double digits. 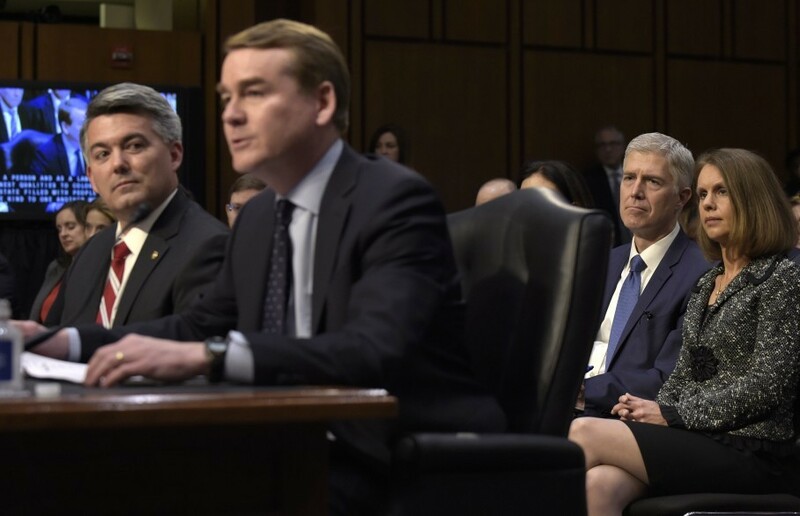 The fourth, Michael Bennet, represents Gorsuch’s home state of Colorado. Bennet reportedly urged Chuck Schumer to keep the party’s powder dry for the next Supreme Court fight. 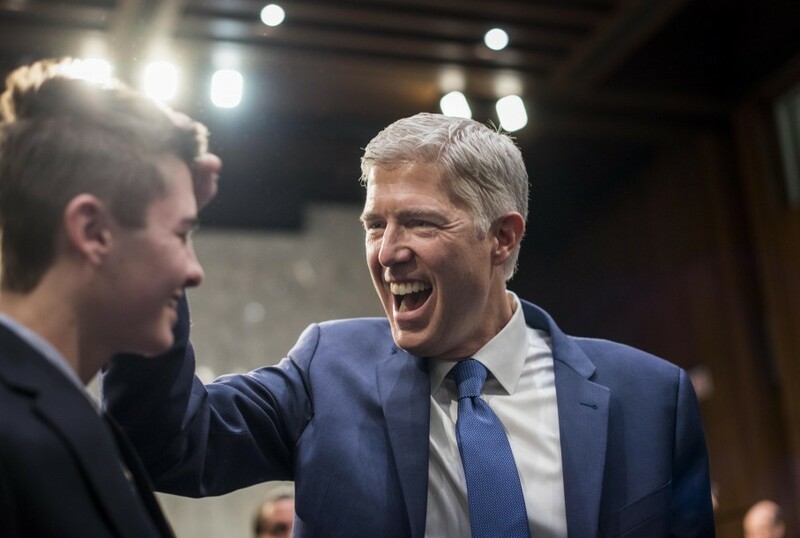 He believes Gorsuch, filling Antonin Scalia’s seat, will not fundamentally change the ideological balance on the court the way Trump getting to pick Ruth Bader Ginsburg’s or Anthony Kennedy’s successor would. “If you’re looking to preserve Roe, [the next vacancy] is the seat you need to die on the sword for,” one person close to Bennet, describing the senator’s thinking, told Politico. The senator’s colleagues in both parties, who understand the stakes and grasp how politicized the judiciary has already become, privately mock this as a naively short-sighted view. Yes, Gorsuch won’t be able to immediately overturn Roe v. Wade. But the 4-4 splits after Scalia’s death during the last term on issues like collective bargaining, plus the number of 5-4 decisions in the years before that, are reminders that the Supreme Court takes up a lot more than abortion rights. -- Gorsuch is a political animal. His mother was a conservative Colorado state legislator before she ran Ronald Reagan’s EPA. The judge’s own resume used to say that he had “worked on Republican campaigns since 1976.” In addition to volunteering in Ohio for the Bush-Cheney 2004 reelection effort, he was the co-chair of a Republican National Lawyers Association task force. The Senate Republican Conference even gave him a “distinguished service” award. “He is a true loyalist (and a good, strong conservative),” then-RNC chair Ken Mehlman, his roommate at Harvard Law, emailed the White House’s political affairs shop as Gorsuch sought an appointment after the 2004 election. Gorsuch himself wrote Bush’s political director to say he’d “spent considerable time trying to help the cause on a volunteer basis in volunteer roles.” “I’ve concluded that I’d really like to be a full-time member of the team,” he said. Soon after that, he landed a senior job in the Bush Justice Department. Within two years, he was on the 10th Circuit Court of Appeals. -- Republicans and Democrats alike are confident that Gorsuch will continue working to advance “the cause” as a “full time member of the team” once he’s on the high court. That’s why conservative groups are spending more than $10 million on commercials to promote him and liberals are fighting tooth and nail to stop him. In contrast to someone like John Roberts, Gorsuch came into this confirmation process with a very long paper trail. He’s ruled on nearly 3,000 cases during his tenure in Denver. Even if he’s never directly ruled on a subject, there are few mysteries about how he will come down on the hot button issues that will likely come before him. Academics who have studied his jurisprudence found that Gorsuch is further to the right than all four of the Republicans presently on the court. -- Consider voting rights: When Scalia was alive, he joined the 5-4 majority to strike down a key provision of the Voting Rights Act, which required states with a history of racial discrimination to get preclearance from the Justice Department before they could change voting rules. That ruling prompted several states to quickly enact new limitations that disproportionately impacted African Americans, a core constituency of the Democratic Party. One of the states was North Carolina, which selectively chose voter-ID requirements, reduced the number of early-voting days and changed registration procedures. Government-issued driver’s licenses became an acceptable form of identification, but government-issued public assistance cards — used disproportionately by minorities in that state — were not. It came out during litigation that, before enacting the law, the state legislature requested data on the use, by race, of a number of voting practices. A three-judge panel of the 4th Circuit unanimously ruled to strike down the law. “The new provisions target African Americans with almost surgical precision” and “impose cures for problems that did not exist,” Judge Diana Gribbon Motz wrote for the panel. The Republican governor appealed to the Supreme Court for a stay. 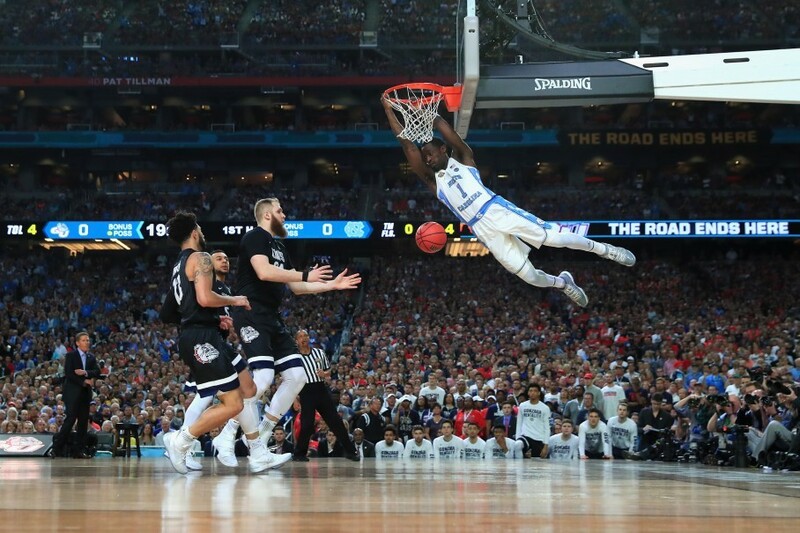 All four of the Republican justices wanted to grant North Carolina’s request, which would have allowed the restrictions to be in place for the 2016 election. Because there was a 4-4 tie, the lower court ruling prevailed. If either Scalia or Gorsuch had been on the court, the decision almost certainly would have gone the other way. Al Franken pressed Gorsuch during his confirmation hearing about “whether you're disturbed by a state government’s effort to systematically and strategically discriminate against its citizens by race.” “It seemed like an easy question to me so I'll ask you again,” the Minnesota senator said. “Does that disturb you at all?” Gorsuch ducked and declined to give a straight answer. “Senator, if there are allegations of racism in legislation, in the voting area, there are a variety of remedies,” he said, declining to elaborate. -- Gorsuch might also be able to give air cover to redistricting plans that could help lock in the Republican House majority. The drawing of boundaries is always heavily litigated. -- And, on campaign finance, the judge has a history of siding with conservatives who oppose legal restrictions on fundraising. In Riddle v. Hickenlooper, Gorsuch joined the majority to invalidate a Colorado law. “The act of contributing to political campaigns implicates a ‘basic constitutional freedom,’ one lying ‘at the foundation of a free society’ and enjoying a significant relationship to the right to speak and associate — both expressly protected First Amendment activities,” he wrote. -- Attorney General Jeff Sessions ordered Justice Department officials to review reform agreements with troubled police forces nationwide, saying it was necessary to ensure that these pacts do not work against the Trump administration’s goals of promoting officer safety and morale while fighting violent crime. 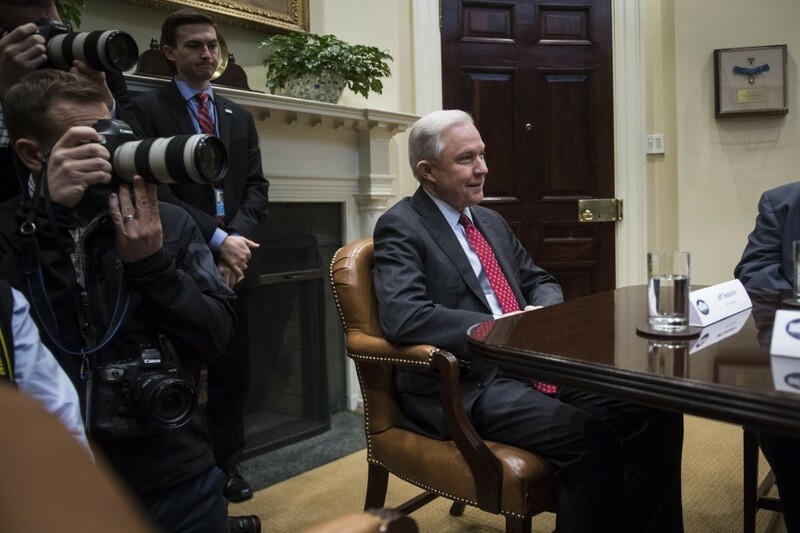 From Sari Horwitz, Mark Berman and Wesley Lowery: "In a two-page memo released (last night), Sessions said agreements reached previously between the department’s civil rights division and local police departments — a key legacy of the Obama administration — will be subject to review by his two top deputies, throwing into question whether all of the agreements will stay in place. The memo was released not long before the department’s civil rights lawyers asked a federal judge to postpone until at least the end of June a hearing on a sweeping police reform agreement, known as a consent decree, with the Baltimore Police Department that was announced just days before President Trump took office. Since 2009, the Justice Department opened 25 investigations into law enforcement agencies and has been enforcing 14 consent decrees, along with some other agreements." -- The United Arab Emirates arranged a secret meeting in January between Blackwater founder Erik Prince and a Russian close to President Vladi­mir Putin as part of an apparent effort to establish a back-channel line of communication between Moscow and then President-elect Trump, according to U.S., European and Arab officials. 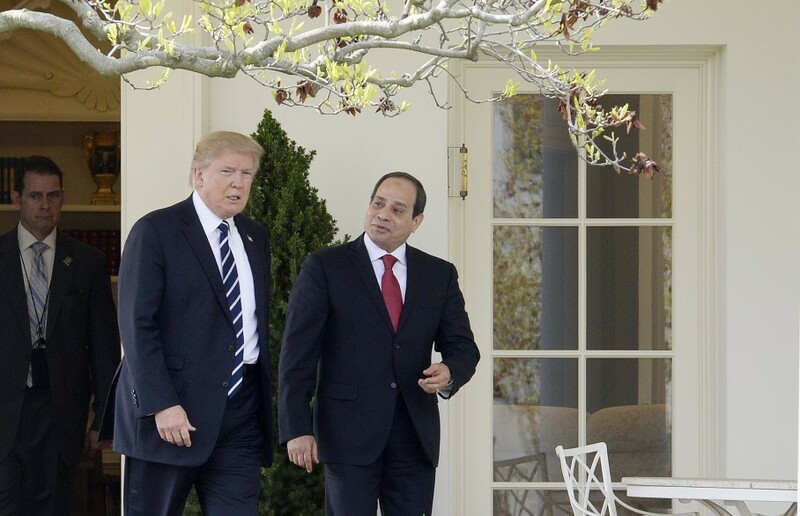 Adam Entous, Greg Miller, Kevin Sieff and Karen DeYoung scoop: "The meeting took place around Jan. 11 — nine days before Trump’s inauguration — in the Seychelles islands in the Indian Ocean ... Though the full agenda remains unclear, the UAE agreed to broker the meeting in part to explore whether Russia could be persuaded to curtail its relationship with Iran, including in Syria, a Trump administration objective that would be likely to require major concessions to Moscow on U.S. sanctions." Though Prince had no formal role with the Trump campaign or transition team, he presented himself as an unofficial envoy for Trump to high-ranking Emiratis involved in setting up his meeting with the Putin confidant: "Prince was an avid supporter of Trump. After the Republican convention, he contributed $250,000 to Trump’s campaign, the national party and a pro-Trump super PAC led by GOP mega-donor Rebekah Mercer, records show. He has ties to people in Trump’s circle, including Stephen K. Bannon, now serving as the president’s chief strategist and senior counselor. Prince’s sister Betsy DeVos serves as education secretary ... And Prince was seen in the Trump transition offices in New York in December." "U.S. officials said the FBI has been scrutinizing the Seychelles meeting as part of a broader probe of Russian interference in the 2016 U.S. election and alleged contacts between associates of Putin and Trump. The Seychelles encounter, which one official said spanned two days, adds to an expanding web of connections between Russia and Americans with ties to Trump — contacts that the White House has been reluctant to acknowledge or explain until they have been exposed by news organizations. 'We are not aware of any meetings, and Erik Prince had no role in the transition,' said Sean Spicer, the White House press secretary." Read the full story here. 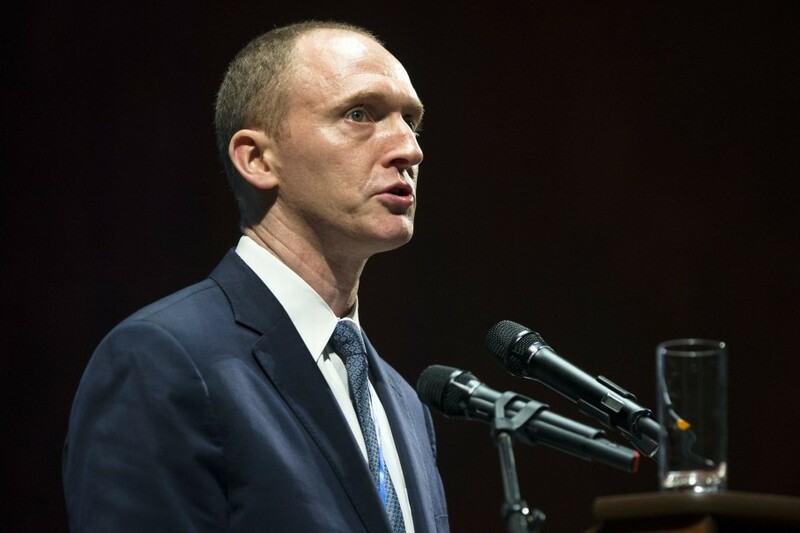 -- Former Trump campaign adviser Carter Page met with and passed documents to a Russian intelligence operative in New York City in 2013, Buzzfeed’s Ali Watkins reports: “Carter Page met with a Russian intelligence operative named Victor Podobnyy, who was later charged by the US government alongside two others for acting as unregistered agents of a foreign government. The charges, filed in January 2015, came after federal investigators busted a Russian spy ring that was seeking information on US sanctions as well as efforts to develop alternative energy. Page is an energy consultant. The revelation of Page’s connection to Russian intelligence — which occurred more than three years before his association with Trump — is the most clearly documented contact to date between Russian intelligence and someone in Trump’s orbit." -- House Intelligence Committee Chairman Devin Nunes said Monday that his committee could resume interviews in its Russia probe later this month. Karoun Demirjian reports: ”The committee’s Russia investigation effectively ground to a halt last week after Nunes said it would be difficult to schedule interviews or depositions before [James Comey and NSA Director Mike Rogers] returned to Capitol Hill for additional closed-door testimony, following open testimony they gave two weeks ago. A scheduled, open hearing that would have featured testimony last week from former director of national intelligence James R. Clapper Jr., former CIA director John Brennan and former acting attorney general Sally Yates was canceled to make way for the return of Comey and Rogers to Capitol Hill, Nunes said — although The Washington Post later reported that the White House sought to keep Yates from testifying.” Nunes said the Comey and Rogers meeting has still not been scheduled and that the holdup was “with Comey, not with anyone else.” Nunes declined to say whom the committee planned to interview, or what the format of the interviews might be. Sean Spicer yesterday decried the media’s “lack of interest” in the Rice story as he continued to deflect questions about the contacts between Trump associates and Moscow. The press secretary declined to comment directly on the Rice reports, but he still complained that the press cares more about certain stories than others. -- A remarkable stat: The top 1 percent of health-care spenders use more resources, collectively, than the bottom 75 percent, according to a new study in Health Affairs. Slice the data a different way, and the bottom half of spenders all together rack up only about 3 percent of overall health care spending. The pattern hasn’t budged for decades, Carolyn Johnson explains, but this dynamic underscores a fundamental inequality in the country's health spending that is the crux of the challenge policymakers face: They need a system that works for people who are ill, but is attractive to those who are healthy and spend little on health care. 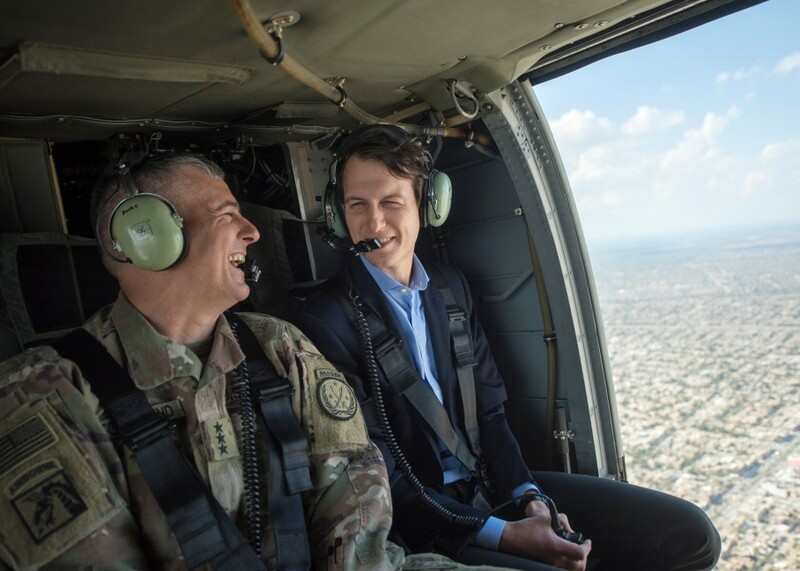 -- "At Kushners' Flagship Building, Mounting Debt and a Foundered Deal," by the New York Times's Charles V. Bagli: "The Fifth Avenue skyscraper was supposed to be the Kushner Companies' flagship in the heart of Manhattan - a record-setting $1.8 billion souvenir proclaiming that the New Jersey developers Charles Kushner and his son Jared were playing in the big leagues. And while it has been a visible symbol of their status, it has also been a financial headache almost from the start. On Wednesday, the Kushners announced that talks had broken off with a Chinese financial conglomerate for a deal worth billions to redevelop the 41-story tower, at 666 Fifth Avenue, into a flashy 74-story ultraluxury skyscraper comprising a chic retail mall, a hotel and high-priced condominiums. The official announcement said the company remained 'in active, advanced negotiations' with a number of investors, whom it declined to name." -- “Controversial Trump Aide Sebastian Gorka Backed Violent Anti-Semitic Militia," by The Forward’s Lili Bayer: "As a Hungarian political leader in 2007, [Trump's] chief counter-terrorism adviser, publicly supported a violent racist and anti-Semitic paramilitary militia that was later banned as a threat to minorities by multiple court rulings [and] later condemned by the European Court of Human Rights for attempting to promote an ‘essentially racist’ legal order. ... Asked directly on the TV interview program if he supports the move by Jobbik, a far-right anti-Semitic party, to establish the militia, Gorka, appearing as a leader of his own newly formed party, replies immediately, 'That is so.' The Guard, Gorka explains, is a response to 'a big societal need.'" -- The Trump administration issued a strong warning to U.S. companies as they begin applying for H-1B visas, cautioning that DOJ will “investigate and prosecute” any business that overlooks qualified American workers for jobs. The AP reports: “The message came on the opening day of applications for American employers seeking the visas, which are used mostly by technology companies to bring in programmers and other specialized workers from other countries. ‘U.S. workers should not be placed in a disfavored status, and the department is wholeheartedly committed to investigating and vigorously prosecuting these claims,’ said Tom Wheeler, acting head of the [DOJ’s Civil Rights Division]." -- “She voted illegally. But was the punishment too harsh?” by Robert Samuels: “Rosa Ortega, 37, voted illegally and has become the national face of voter fraud, a crime that [Trump] and other Republicans believe is an epidemic endangering the integrity of American elections, even though no evidence supports the claim. Mexican born and Texas raised, Ortega voted in Dallas County after filling out a registration form saying she was a U.S. citizen … [believing] she could vote because she has a green card. ... After she was convicted on voter fraud charges, jurors were asked to deliver a punishment they believed was 'fair.' 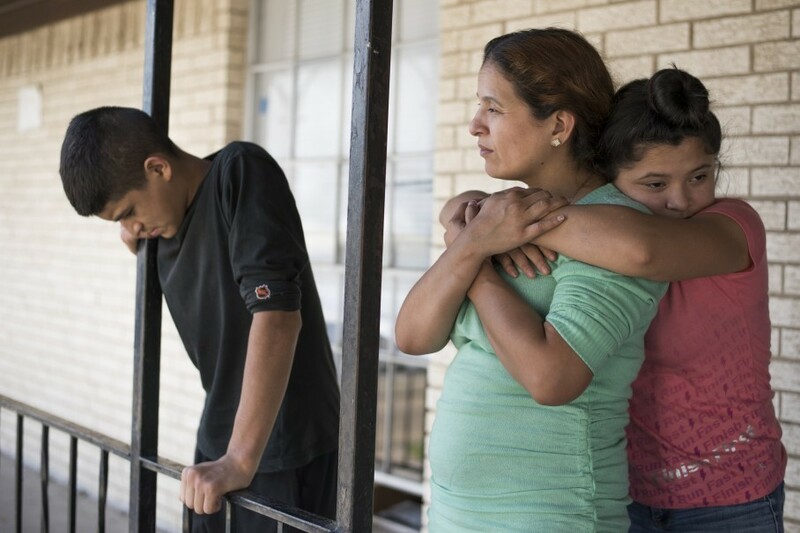 Before Ortega, this often resulted in minor penalties such as community service or probation – and the 38 illegal voting cases Texas resolved since 2005, only one defendant received more than three years in prison. But by February 2017, the notion of 'fair' had changed. Ortega was sentenced to eight years, and was told she would likely be deported to Mexico afterwards." My no on Gorsuch isn't payback for Garland, but any Republican lecturing us on obstructionism this week get the Gold Medal of Hypocrisy. Let me get this straight: GOP says Gorsuch deserves a vote because he's qualified and was nominated by a president. At the White House: Trump hosts a CEO town hall on the American business climate before traveling to the Washington Hilton, where he will make remarks at the 2017 North America’s Building Trades Unions National Legislative Conference. Later, Trump will hold meetings with Scott Pruitt, Steve Mnuchin, and Ben Carson. The President will then meet with Congressman Dana Rohrabacher and, later, Governor Ralph Torres of the Northern Mariana Islands. Pence will join Trump for the CEO town hall before participating in the Senate Republican Policy Luncheon. "Marvel executive says emphasis on diversity may have alienated readers,” from The Guardian: “Marvel’s vice president of sales has blamed declining comic-book sales on the studio’s efforts to increase diversity and female characters, saying that readers 'were turning their noses up' at diversity and ‘didn’t want female characters out there.’ Over recent years, Marvel has made efforts to include more diverse and more female characters, introducing new iterations of fan favourites including a female Thor; Riri Williams, a black teenager who took over the Iron Man storyline as Ironheart; Miles Morales, a biracial Spider-Man and Kamala Khan, a Muslim teenage girl who is the current Ms Marvel. ... ‘What we heard was that people didn’t want any more diversity,’ he said. 'They didn’t want female characters out there. That’s what we heard, whether we believe that or not.'" 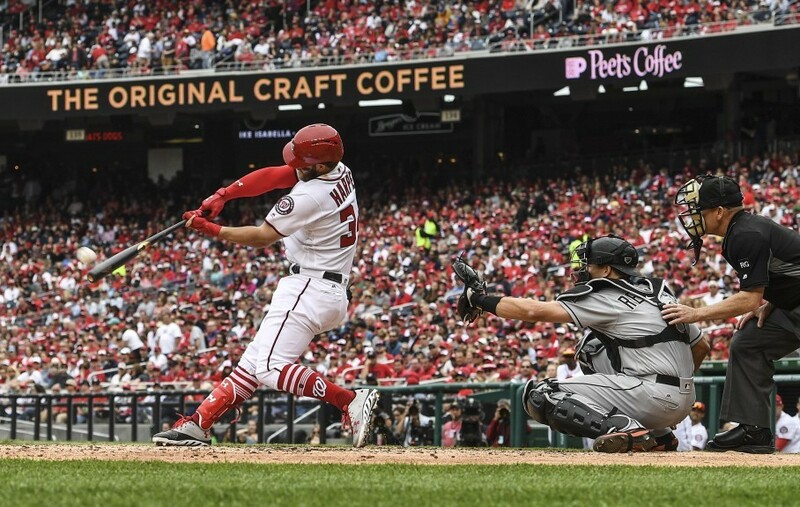 -- It was Opening Day for the Nationals on Monday, which means Bryce Harper hit a home run. "It’s become sort of a D.C. baseball tradition, up there with presidents declining to throw out the first pitch," Jorge Castillo writes. "The 24-year-old right fielder has played in five Opening Day games at the major league level and has hit five home runs across four of them. He hit two in 2013, one in 2015 and another a year ago. The Nationals won two of those five, including Monday’s 4-2 decision. The sequence is unprecedented: Harper has the most Opening Day home runs before turning 25 in history. Gary Carter is second with four, followed by Mickey Mantle, Dean Palmer and Corey Patterson with three apiece." -- For at least one day, all the Nationals' pieces fell into place, Thomas Boswell writes in his column.